Candidate Lead Qualification - Prequalify, Prioritize and Place! 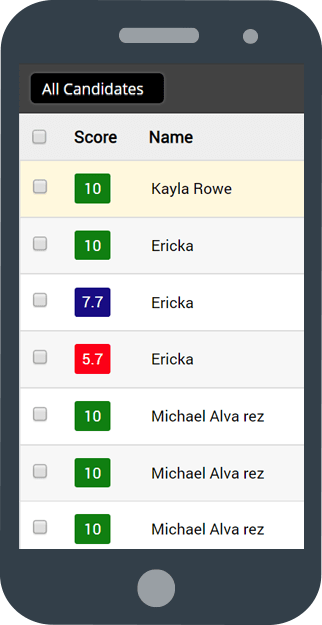 Prequalify and prioritize top candidates with a brief, mobile-friendly questionnaire based on your hiring requirements followed by simple, automated lead scoring. Mobile Talent’s candidate scoring system instantly filters your “qualified” candidates so your recruiters can focus efforts on getting the right candidates to the next level.